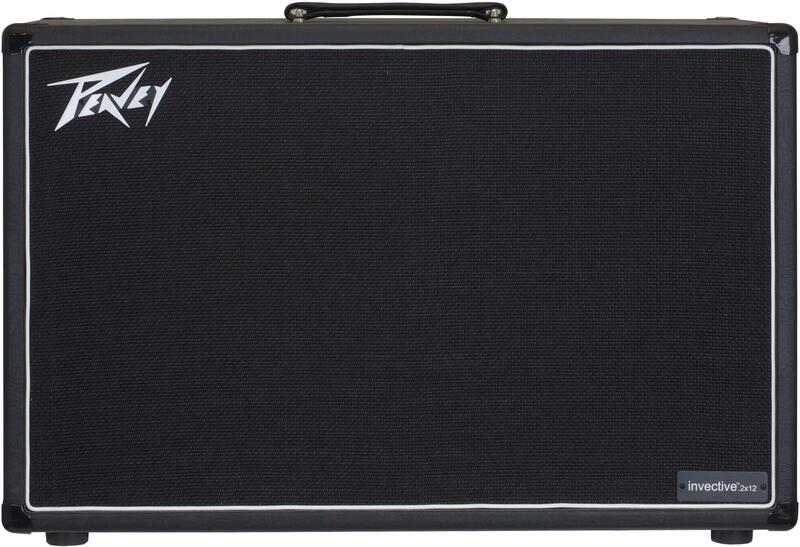 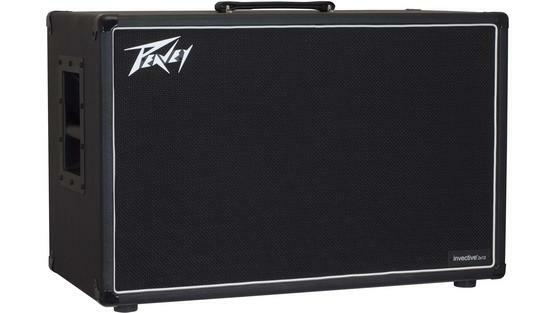 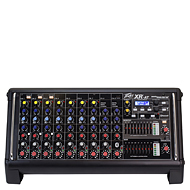 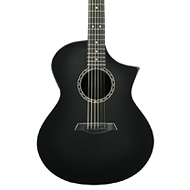 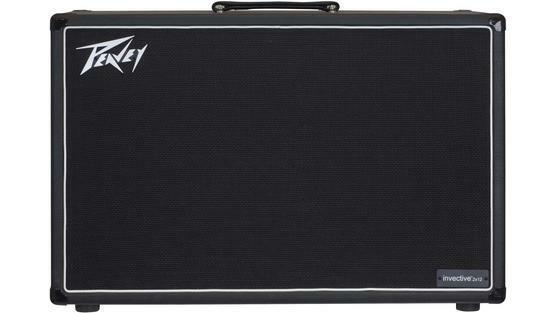 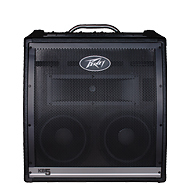 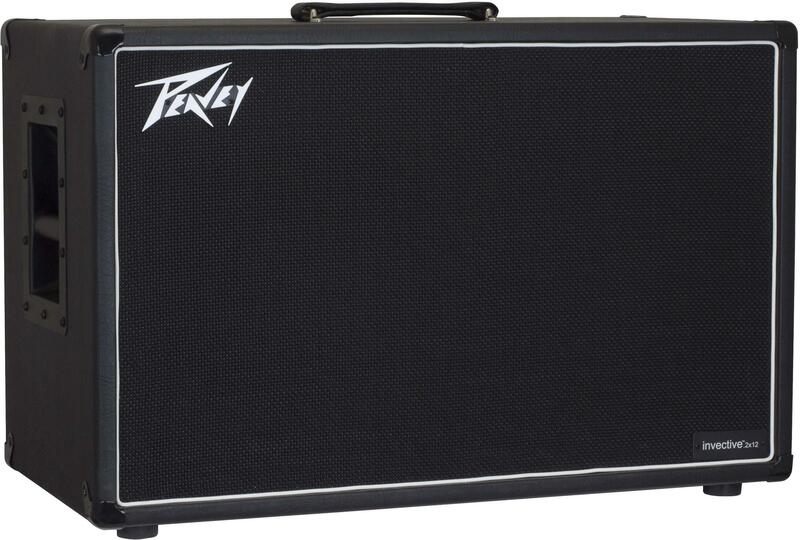 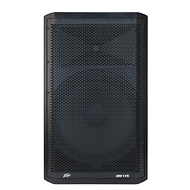 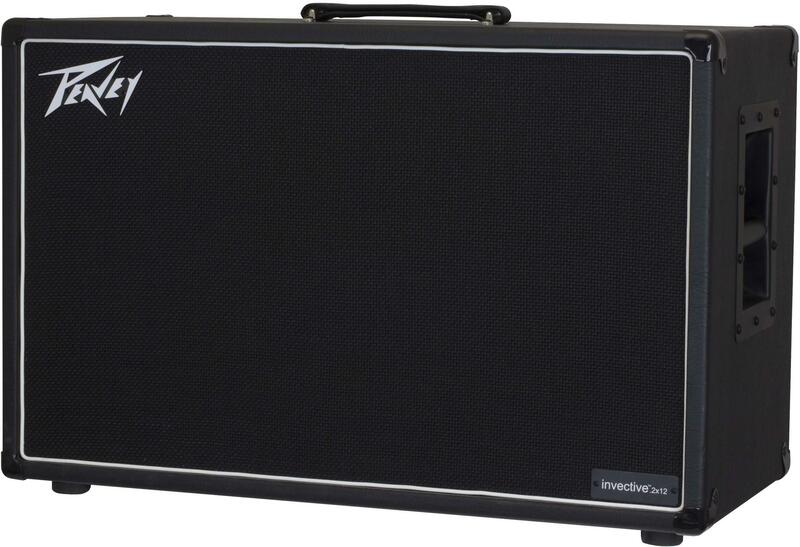 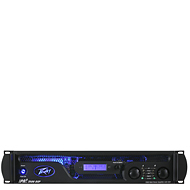 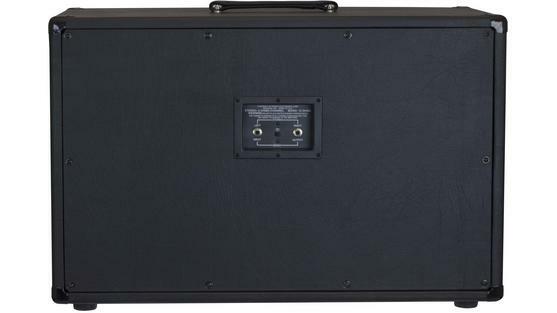 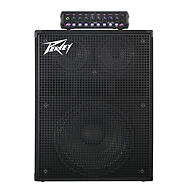 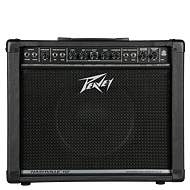 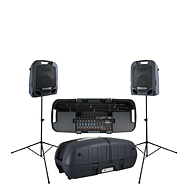 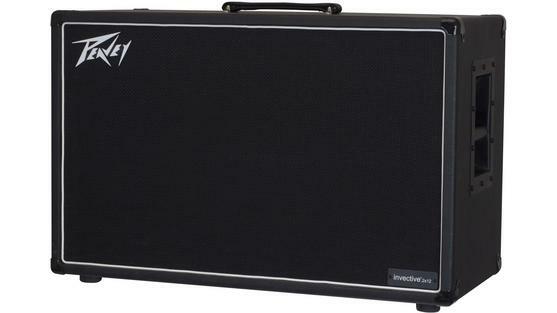 The Peavey invective.212 Cabinet is perfectly suited for use with the invective.120 Head. 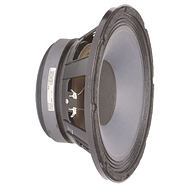 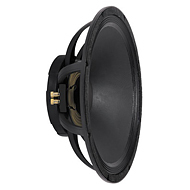 The solid pine construction provides the most responsive dynamics imaginable and compliments the metal-standard Celestion Vintage 30 (8 ohms) speaker paired with the Creamback G12H-75 (8 ohms) speaker. 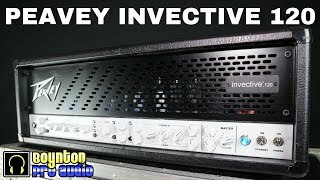 It's a sonic quality so worthy that many guitarists who have already tried the invective.212 describe it as "the best cabinet I've ever heard." 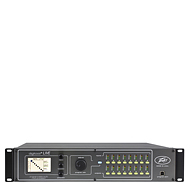 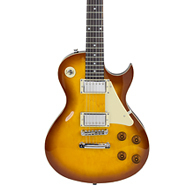 Plug right in using the ¼'' inputs with Stereo/Mono switch. 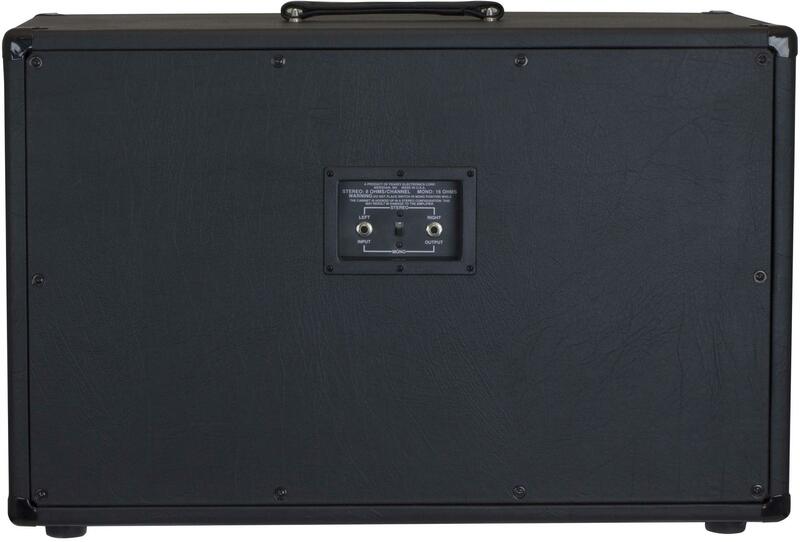 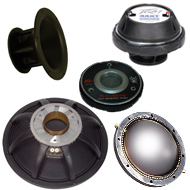 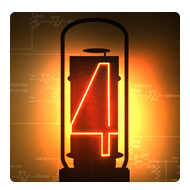 In Stereo, players will get a left/right configuration rated at 8 ohms per side at over 60 W (RMS) per side. 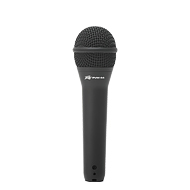 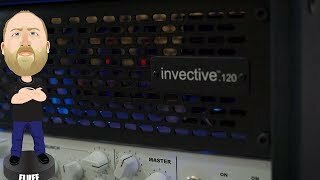 In Mono mode, the invective.212 becomes a 16-ohm cabinet capable of handling 120 W (RMS) of thunderous power. 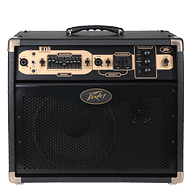 The cabinet's fingerjointed construction and premium components throughout ensure extreme road worthiness and reliability, enabling the player to blast off with confidence. 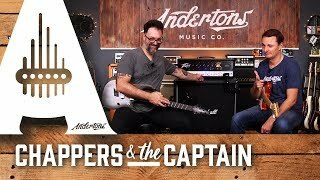 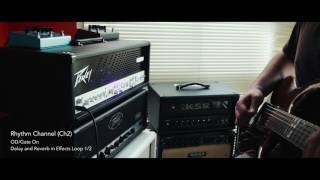 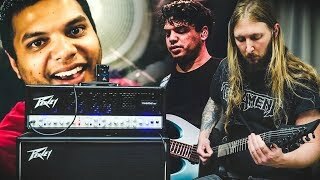 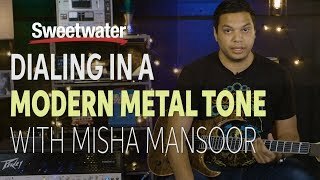 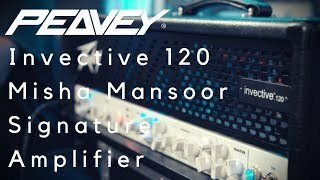 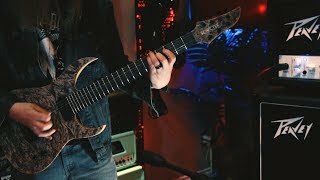 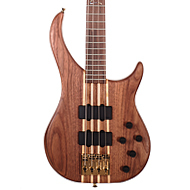 Peavey Invective 120 - Masses of Misha Mansoor Madness in an amp!